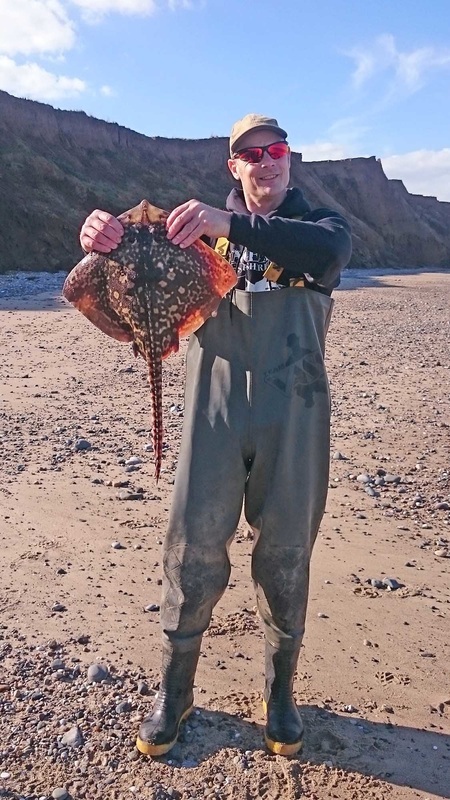 Many thanks to Daniel Osborne for sharing these photographs of a recent trip to Hilston. 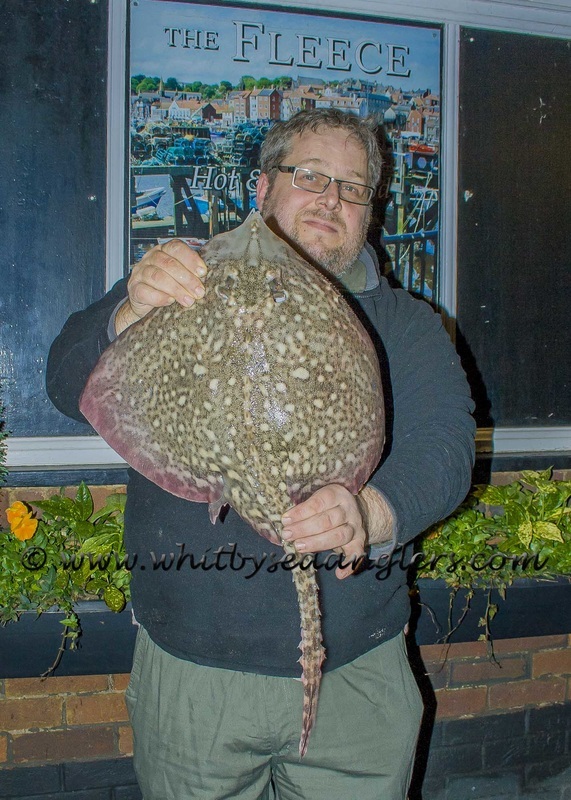 and there's a reason why I don't chase fish. 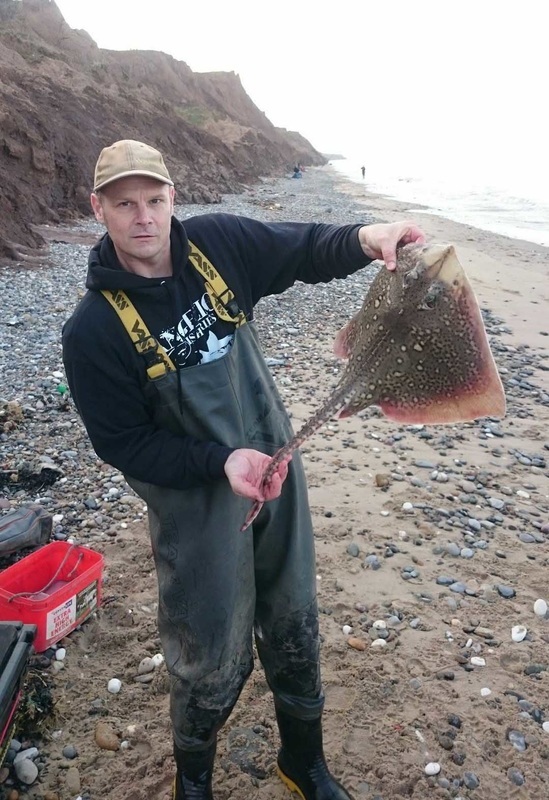 They weren't there in numbers at all, I ended up with two, 6½ lb'er and a 7 lb 07 oz, 5 whiting and a dog fish. Nice weather and heard the southern beaches were more productive. 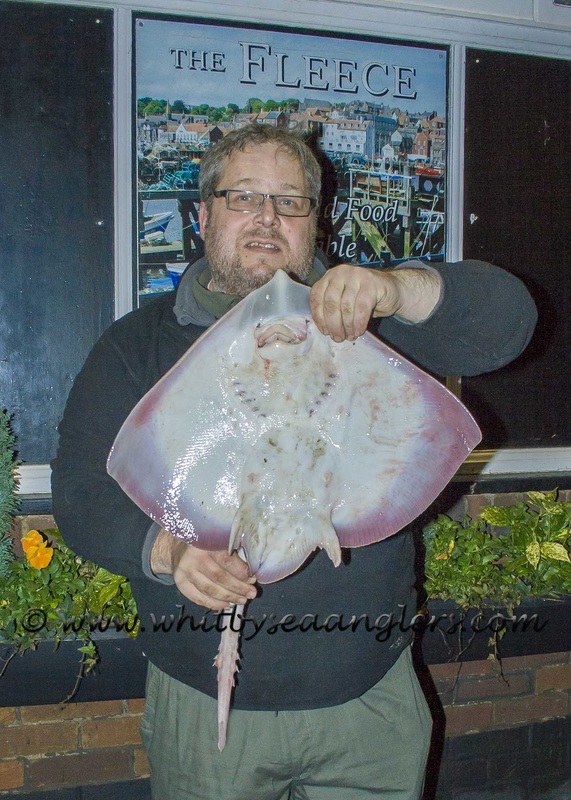 I only saw one other ray caught, and one of the Boro lads had a 5 lb cod too. Nice weather and good to get out. 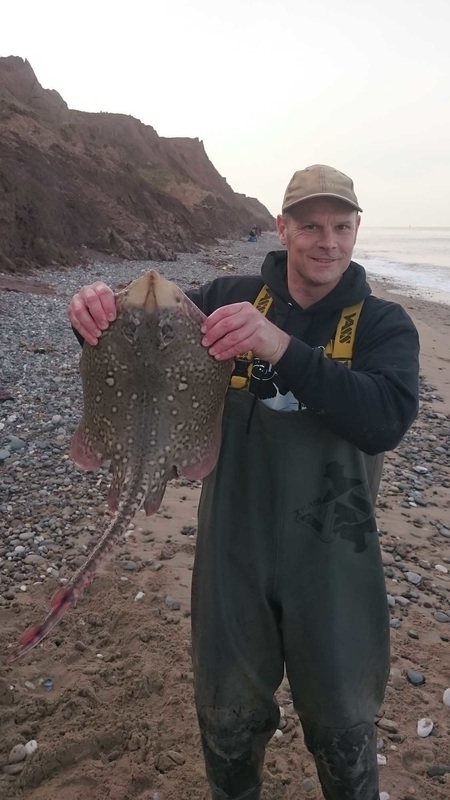 Wednesday night 2nd December 2015 WSAA member Mike Saunders caught this 5 lb 08 oz Thornback Ray. Mike currently holds the club record.